Returning once again to the sheer, overwhelmingly anticipatory joy of fans everywhere, The Hunger Games, a popular book series now turned even more popular series of big budget Hollywood releases, returns with the second installment, Catching Fire. Directed by Francis Lawrence and starring Jennifer Lawrence as the protagonist, Katniss Everdeen as well returning rolls from Josh Hutcherson, Woody Harrelson, and Liam Hemworth, Catching Fire picks up directly where the first movie left off. Katniss has been crowned as winner of the 74th Annual Hunger Games and she and Peeta (Hutcherson) are to tour around the districts in a celebratory manner. However, word is spreading around the districts that some sort of rebellion may be conspiring to overthrow the President. In anticipation of the 75th Hunger Games, which they call the Quarter Quell, all remaining winners of past Games will be up for selection as participants. Katniss and Peeta are forced to fight again and with pressures riding on themselves to not only protect their families but as well to appear as though publically they are in love to quiet down any sort of rebellion, the two see themselves in the exact same position as before but the stakes are only ever higher. One thing that was very enjoyable in regards to both films is that it is very accessible and easy to follow regardless of whether you have read the books. The universe that it takes place in is spellbinding and unique and the whole cast of characters are engaging and fun to root for as well as despise. There is hardly really at all a barrier in becoming engrossed by the story and as it is all very easy to become involved and invested. The film is very long but never does it feel as though you are being dragged along nor does it ever feel forced; there is just so much content and character development as well as simple plot developments that are necessary for the story’s progression. 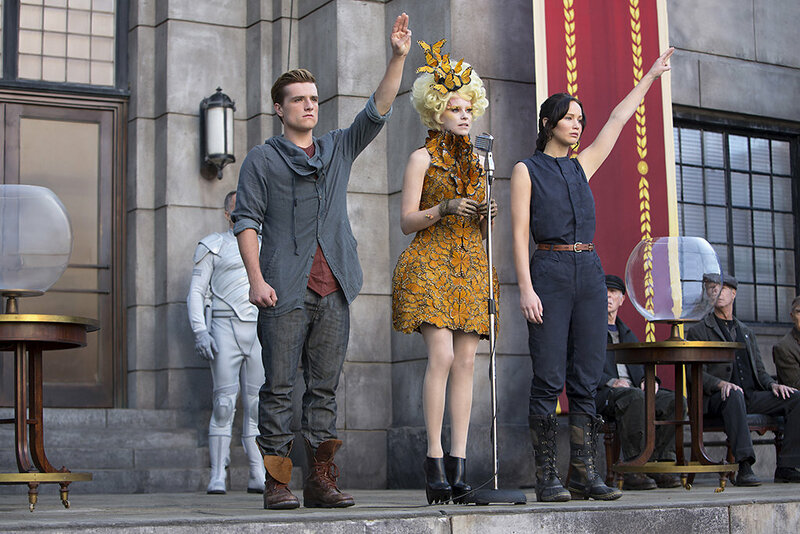 Just as the first installment, in Catching Fire, each scene is fulfilling and leaves you wanting more. As well, the costumes are aesthetic are fully realized to dazzling potential. The visuals are completely will leave you completely awestruck and never is there truly a dull moment visually. However, there are certain scenes involving romance that do become a little tedious for anyone that may not be a true fan of the series, but for the core fan and targeted audience, I can only assume they all are fulfilling. Catching Fire is a very entertaining ride and leaves you at a brutal cliff-hanger that leaves you itching to see what is going to unfold. If you at all enjoyed the first one, then this film will surely not disappoint. It will be very interesting to see where this story goes and where the whole franchise leads off to but for now, that is 2 for 2.